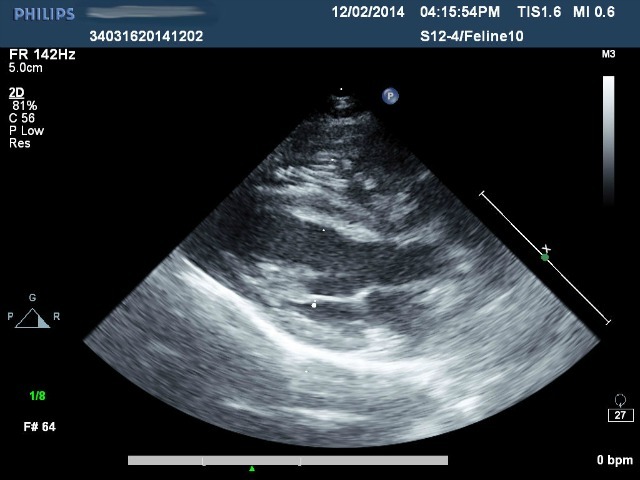 Below is an ultrasound image from an echocardiogram of a cat with heartworm disease. This is a particularly unusual image: Although cases of heartworm are fairly common in dogs, they very rarely occur in cats. Dr. Rossi took this image.